Progressive groups are speaking out against the debt ceiling deal currently being hashed out in Washington. The response from two of the nation's largest organizations goes essentially like this: really?!? 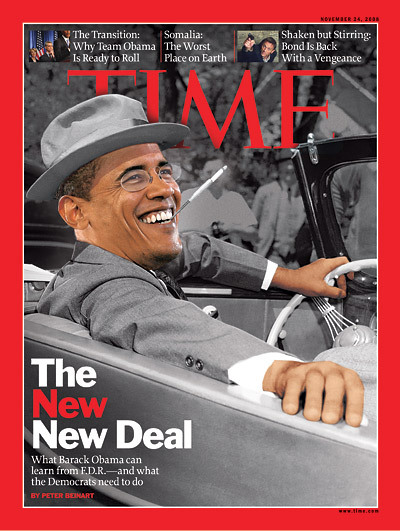 Progressives are more than a little upset that the deal does not include taxing the rich, a line in the sand Pres. Obama drew early on. They're casting the deal outlined on the Sunday morning talk shows as a huge win for Republicans -- and (yet another) agonizing defeat for the middle class. "Seeing a Democratic president take taxing the rich off the table and instead push a deal that will lead to Social Security, Medicare, and Medicaid benefit cuts is like entering a bizarre parallel universe," said Stephanie Talyor, a co-founder of the Progressive Change Campaign Committee. "One with horrific consequences for middle-class families." 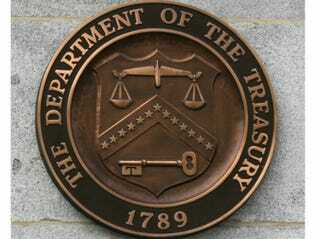 A deal to raise the federal debt ceiling is in the works. If it goes through, many commentators will declare that disaster was avoided. But they will be wrong. It is, of course, a political catastrophe for Democrats, who just a few weeks ago seemed to have Republicans on the run over their plan to dismantle Medicare; now Mr. Obama has thrown all that away. And the damage isn’t over: there will be more choke points where Republicans can threaten to create a crisis unless the president surrenders, and they can now act with the confident expectation that he will. In the long run, however, Democrats won’t be the only losers. What Republicans have just gotten away with calls our whole system of government into question. After all, how can American democracy work if whichever party is most prepared to be ruthless, to threaten the nation’s economic security, gets to dictate policy? And the answer is, maybe it can’t. Yesterday, an American Dream Movement rally, demanding a debt deal that “protects seniors and makes corporations and the rich pay [their] fair share,” drew a significantly larger crowd than a Tea Party rally a day earlier. Both were held on Capitol Hill, both focused on the same ginned-up debt ceiling “crisis,” but you’d be hard-pressed to find the Beltway media noting the difference in crowd size—or even reporting on the progressive rally at all. In contrast, Thursday’s American Dream rally—organized by MoveOn, Rebuild the Dream, AFSCME and AFGE, and featuring speakers like Van Jones and Representatives Keith Ellison and Jan Schakowsky—clocked in an estimated 450–500 people. 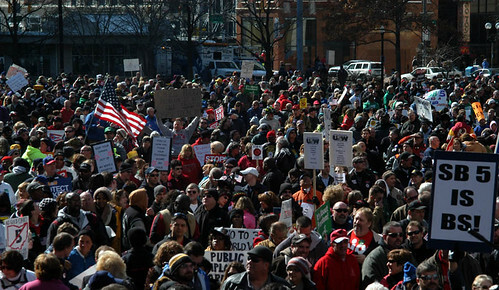 Neither Politico or CNN mention the progressive American Dream rally. Read the full story in The Nation. Nobel Prize winning economist Paul Krugman is very disappointed with President Obama and the Democrats for allowing the Republicans to control the messaging frame of the debt debate. Krugman warned during his comments on ABC's This Week Sunday morning that the proposed spending cuts in a deal to raise the nation’s debt ceiling would end up hurting the economy. Krugman’s grim forecast, as a result of Democratic “compromises” with Republicans, which focus on spending cuts, is that the American economy will experience worsening unemployment and general misery in the future. —and he did it (with illustrations to boot). Republicans say they want to save the country from Obama’s reckless spending. But as Paul Begala argues in the editorial below, it’s the GOP’s policies that have driven the nation into the ground. But too few Democrats—and almost no media commentators—have countered the mendacious right-wing storyline. Politico published a piece outlining the vast disparity in the ad war over the debt ceiling. Republican-aligned groups have run over $21.2 mil lion in attack ads highlighting Democrats as irresponsible drivers of the national debt, and elevating the debt ceiling as a top priority. Meanwhile, groups on the left have spent only about $30,000 on ads calling out Republican responsibility for the debt. In this case Republicans broke the budget, but they are making Democrats own it - as usual. "How Republicans Screwed the Pooch,"
There it sits, lonely and forlorn on my shelf. A leather-bound copy of the 1999 Budget of the United States of America. A gift from President Clinton to the folks on his team, it was the first balanced budget in decades. But it wasn't supposed to be the last. Indeed, experts projected surpluses as far as the eye could see. $5.7 trillion in surpluses, to be exact. The surpluses were so strong that deep into the future—in 2009—the entire national debt was going to be zero. For the first time since Andy Jackson was president, the United States of America would not owe a dime. It didn't quite work out that way, did it? The facts of the crisis over the debt ceiling aren’t complicated. Republicans have, in effect, taken America hostage, threatening to undermine the economy and disrupt the essential business of government unless they get policy concessions they would never have been able to enact through legislation. And Democrats — who would have been justified in rejecting this extortion altogether — have, in fact, gone a long way toward meeting those Republican demands. The annual dinner honoring Governor Ann Richards, sponsored by the Democratic Party of Collin County, is set for next Saturday August 6, 2011. Click to the DPCC website for details - reservation deadline is Mon. Aug 1, 2011. Governor Richards is admired as a person who stood up for everyday citizens in Texas throughout her life. A video at the bottom of this article presents Richards speaking at the 1988 Democratic National Convention where, in the first 16 minutes of the speech, she explains why it is important that our elected representatives in government stand up for everyday citizens. In keeping with that theme several people widely regarded for taking a principled stand for everyday citizens have been invited to address Richards Dinner guests this year, according Mr. Stevens. Stevens today announced that several ranking members of the Texas Democratic Party are confirmed to join Wisconsin Democratic State Senator Jon Erpenbach, better known as one of the "Wisconsin 14," next Saturday to speak at the annual fundraising dinner. Joining Wisc. Sen. Erpenbach at the speaker's podium will be Texas State HD-103 Representative Rafael Anchia, Texas State HD-116 Representative Trey Martinez Fischer and Texas Democratic Party state Chairman Boyd Richie. Reuters - The "Great Recession" was even greater than previously thought, and the U.S. economy has skated uncomfortably close to a new one this year. New data on Friday showed the 2007-2009 U.S. recession was much more severe than prior measures had found, with economic output declining a cumulative of 5.1 percent instead of 4.1 percent. The report also showed the current slowdown began earlier and has been deeper than previously thought, with growth in the first quarter advancing at only a 0.4 percent annual pace. In the weeks after Obama won election in 2008 Senate Minority Leader Mitch McConnell said he intended to delay Obama's proposed $1 trillion economic stimulus legislation and use his 40 Republican Senator cloture vote filibuster power to block all Democratic legislation. Within two months of taking the oath of office, Republicans had convinced Pres. Obama to compromise and ask for half the amount of stimulus that his advisers thought necessary and substitute additional massive tax cuts for corporations and the rich in the place of infrastructure spending as part of the 2009 American Recovery and Reinvestment Act (ARRA). Most economists now say the 2009 stimulus plan was slow to kick in, did little to promote American job growth and unnecessarily added to the deficit because the ARRA indeed provided half the amount of infrastructure stimulus spending needed and the added tax cuts did not enticed corporations to reinvest their massive profit gains in U.S. based business growth and job creation. Republicans continue to claim only more tax cuts for billionaires and mega-corporations will fix the flagging economy. But, will yet more corporate tax cuts really promote job growth in America? As a share of GDP, the U.S. has the second lowest tax rate, behind only Iceland. This statistic flips on its head the often-repeated Republican charge that America has the second highest corporate tax rate in the world (which is only true on paper). In 2009, U.S. corporate taxes had fallen to only 1.3 percent of GDP, from 4 percent in 1965. As a record heat wave grips the U.S. with new record temperatures set daily this summer the conservative messaging network of think tanks and media outlets continue to try to convince people its all just natural and normal. 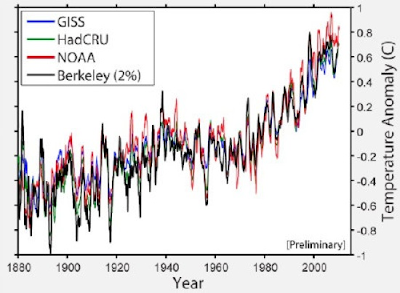 Forbes Magazine this month published an OpEd titled, " New NASA Data Blow Gaping Hole In Global Warming Alarmism." This OpEd is now being picked up and reprinted in newspapers around the U.S. as a "new finding," rather than just a republication of old discredited claims. The rich are getting richer. Their effective tax rate, in recent years, has been reduced to the lowest in modern history. Nurses, teachers and firemen actually pay a higher tax rate than some billionaires. It's no wonder the American people are angry. Watch this video from Comedy Central’s "The Daily Show," broadcast July 28, 2011. Comedy Central’s Jon Stewart suspected Thursday that House Majority Whip Kevin McCarthy (R-CA) had not watched the end of “The Town” before trying to use it to convince tea party freshmen to vote for a plan to raise the debt ceiling. “You went with the Boston-bank-robbers-in-nun-costumes flick?” Stewart asked. “I’m going to assume most of the tea part coalition has not seen the whole movie,” he added. ScienceDaily (July 28, 2011) — Global population is expected to hit 7 billion later this year, up from 6 billion in 1999. Between now and 2050, an estimated 2.3 billion more people will be added -- nearly as many as inhabited the planet as recently as 1950. New estimates from the Population Division of the Department of Economic and Social Affairs of the United Nations also project that the population will reach 10.1 billion in 2100. Washington Post: As Congress debates how to meet the nation’s long-term transportation needs, decaying roads, bridges, railroads and transit systems are costing the United States $129 billion a year, according to a report issued Wednesday by a professional group whose members are responsible for designing and building such infrastructure. Complex calculations done for the American Society of Civil Engineers indicate that infrastructure deficiencies add $97 billion a year to the cost of operating vehicles and result in travel delays that cost $32 billion. 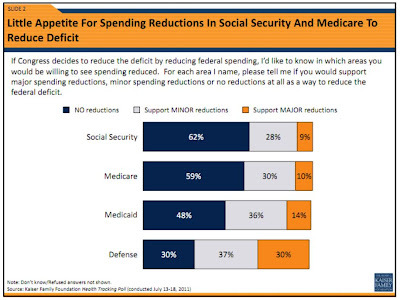 Large majorities of Americans oppose even a minor reduction in spending on Medicare or Social Security according to the newest Kaiser Family Foundation poll. Sixty-two percent of the country wants no reductions to Social Security and 59 percent wants no reductions in Medicare spending. The American people really like their Medicare and Social Security. They are an important part of the social safety net that prevents millions of seniors from falling into poverty. Latest Ad by the American Future Fund group. Click this link for the Real TRUTH About Who Really Owns America's Debt. The common conservative messaging echoed in the mainstream media and by many cable news pundits is that the American people actually want a “grand bargain” or a “super Congress” to cut our entitlement programs has absolutely no basis in reality. It is purely a conservative messaging fantasy created with lots of billionaire conservative money. The GOP is winning the debate because they have the know how and bucks to message. Earlier this week, Politico published a piece outlining the vast disparity in the ad war over the debt ceiling. Republican-aligned groups have run over $21.2 mil lion in attack ads highlighting Democrats as irresponsible drivers of the national debt, and elevating the debt ceiling as a top priority. Meanwhile, groups on the left have spent about $30,000 on ads calling out Republicans on the debt, with one hitting lawmakers for “recklessly risking default.” That is why it is so important for grassroots progressives to push their own messaging programs. And, Think Progress writes about, "How Shadowy Right-Wing Front Groups Engineered Our National Embrace Of Debt Reduction Over Job Creation:"
For the entire year, as a sluggish economy sputters by and states continue to struggle with falling revenue, the conversation in Congress has centered solely on spending reduction. Earlier this year, we witnessed looming government-showdown duels between competing spending reduction plans. Now with the debt ceiling debate, the only two options are a choice between a package of painful cuts and a package of deeply draconian cuts. There has been no lively discussion of new policy ideas for job creation, foreclosure mitigation, or how to spur demand, the key driver of economic recovery. According to a new Gallup poll, President Obama's over-all approval rating has dropped one point from 44 percent to 43 percent since the previous survey was taken. However, 78 percent of Democrats approve of how the president is doing his job. According to Sam Stein of Huffington Post, President Obama's numbers are the highest any Democratic president has enjoyed at this point in their term since Harry Truman. President Obama also scored high marks with Liberal Democrats, scoring an 81 percent approval rating, a number surpassed only by his approval among black voters, which held steady at 86 percent. At this point in his presidency, George W. Bush had a 59 percent approval rating, which was late July of 2003, three months after the invasion of Iraq and two months after he announced"Mission Accomplished" from the deck of the U.S.S. Abraham Lincoln. As we wrote in the post, "Pres. Obama Pushes "Serious Cuts" In His Weekly Address," last Saturday, the current budget debate mirrors the New Deal budget debates through the 1930's. FDR's The New Deal wasn’t as successful in the short run because he listened too much to conservatives of his day telling him to cut New Deal stimulus spending and balance the budget. Nobel prize winning economist Paul Krugman says, "The New Deal wasn’t as successful in the short run as it was in the long run was the fact ... that his economic policies were initially too cautious." FDR was swayed by the conservative argument and signed a deep budget cutting budget bill for one Congressional budget cycle during the mid part of his first term. Those cuts pushed the economy back into rapidly contraction. The double-dip recession caused by that "balanced budget" legislation almost derailed FDR's chance to be re-elected for a second term. Fortunately, the economist John Maynard Keynes convinced FDR to renew his new deal spending push with congress in time win re-election, but it was close. FDR was quick to learn the lesson - will Pres. Obama learn that lesson soon enough to win re-election? Milton Friedman, a revered figure in right-of-center circles, famously pinned the severity of the Great Depression on contractionary monetary policy. Scott Sumner, a professor of economics at Bentley University who identifies himself as a "neo-monetarist", has argued that Friedman would have supported monetary stimulus. And he has argued, on neo-Friedmanite grounds, that tight monetary policy both precipitated and exacerbated our recent recession. I happen to think Mr Sumner is correct, but his expansionary prescription remains anathema on the right, and now seemingly Pres. Obama. The comparison of the 1930's economic debate with the current debate continues in a Huffington post article, "Debt Ceiling Debate: Similarities To FDR's New Deal:"
Whatever the outcome of Thursday's projected House vote on Speaker Boehner's debt plan, this process has already ended the political life of one prominent member of the Washington establishment: John Maynard Keynes. True, Keynes died in 1946. But his ghost hovered over America's economic debate until pretty much Monday night. In their ostensibly dueling speeches, both President Obama and House Speaker Boehner embraced the language of "austerity" and performed an unwitting exorcism. 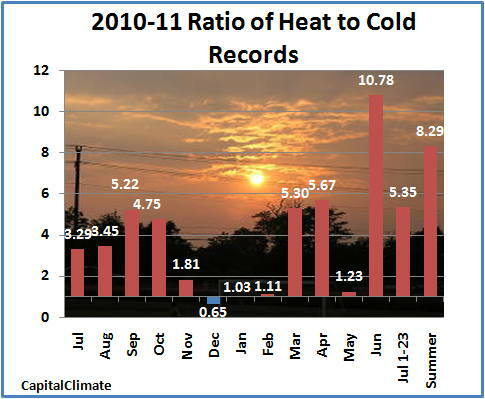 When the nonpartisan National Academy of Sciences reviewed climate research data last year, it concluded: “A strong, credible body of scientific evidence shows that climate change is occurring, is caused largely by human activities, and poses significant risks for a broad range of human and natural systems.” The summer of 2011 heat wave is again setting new record temperatures. Climate change is driven by "global warming," the average recorded temperature of the earth, which has been going up for years. This warming of the globe leads to climate change, which doesn't necessarily mean all areas will become warmer. Due to the highly variable and interdependent nature of the world's weather patterns, warming in some areas could lead to, for example, much colder winters in others.In much the same role that marriage and abortion played in previous election cycles, denial of climate change has now become a litmus test for the right. No Abdication Of Our Representation"
This small, unrepresentative group will decide on these cuts, outside of the normal order of procedures of both Chambers, and the results can neither be amended nor filibustered. This FDL post and its comments describe what Reid and Boehner propose. This undemocratic “Joint Select Committee on Deficit Reduction” is deliberately designed to block the input of every Representative and Senator in Congress other than the 12 members who would be selected by Party leadership to propose changes in any and every category they choose. We are numbed and appalled at this development. 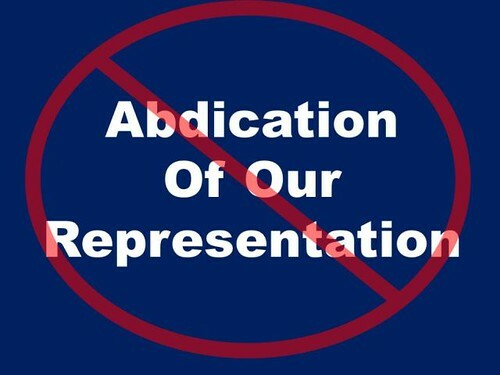 It is an abrogation of the premise of elected representation. Tell congressional leaders, "No more secret backroom deals - deficit reduction deliberation must be held in open public committee meetings!" Julianne Hing of ColorLines is reporting that U.S. Attorney General Eric Holder believes the data showing that black and Hispanic students in Texas are disproportionately disciplined and suspended is a "wake-up call." John McCain: Tea Party-Backed Lawmakers Making 'Foolish' Demands In Debt Ceiling Debate. Sen. John McCain, at times reading from a Wall Street Journal editorial during a floor speech on Wednesday, called tea party freshmen in Congress "tea party hobbits." The "hobbits" remark came from the Journal editorial, a reference to the little people of Middle-earth in J.R.R. Tolkien's "The Lord of the Rings" trilogy. Approximately 11 percent of voting-age citizens in the country — or more than 20 million individuals — lack government-issued photo identification. We urge you to protect the voting rights of Americans by using the full power of the Department of Justice to review these voter identification bills and scrutinize their implementation. The Voting Rights Act vests significant authority in the Department to ensure laws are not implemented in a discriminatory manner. [...] [T]he Department should exercise vigilance in overseeing whether these laws are implemented in a way that discriminates against protected clauses in violation of Section 2 of the Voting Rights Act. The Voting Rights Act not only forbids state laws that are intended to specifically target minority voters -- it also forbids state laws that have a greater impact on minority voters than on others. Because voter ID laws disproportionately affect minority communities, it is difficult to see how many of the voter ID laws being pushed in GOP-controlled states could survive scrutiny under this law. The Voting Rights Act of 1965 -- signed into law 45 years ago -- was put in place to outlaw discriminatory electoral practices such as poll taxes and literacy tests and other Jim Crow election laws that prevented blacks and other minorities from voting. It established federal Department of Justice oversight of election laws passed by certain southern states with a history of discrimination. Congress renewed the Voting Rights Act for another 25 years in 2006. In a speech this week during his organization's annual convention, NAACP President Benjamin Todd Jealous railed against restrictive state voting laws, likening their rise across the country to the days of Jim Crow. "Our voting rights are under attack because we had a great breakthrough -- the election of a black president," said Jealous to convention attendees in Los Angeles. "It was followed by a great backlash." The Pew Research Center has released a new video-sharing study that found 71 percent of online adults say they regularly watch videos on a video-sharing sites such as YouTube or Vimeo. That represents a five-percentage-point increase from the 66% of online adults who reported being video-sharing site users a year earlier and a 38-point increase from five years ago when the Pew Internet Project took its first reading on use of such sites. 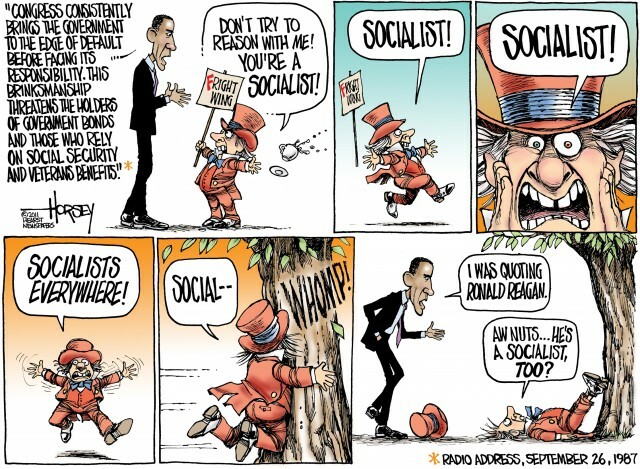 Up until now, signs of any rank-and-file liberal Democratic "base" revolt against Obama have been few and far between. Perhaps that’s why a poll from CNN last week publicized as showing that liberals were the main source of his latest drop in approval ratings got more attention than a random survey normally captures. After weeks of prolonged negotiations with Republicans around the federal debt and in the wake of the strong push back from Congressional Democrats against a 'grand bargain' to cut Soc. Sec. between the President and the House GOP leadership, a new CNN poll shows that support from the political left flank is starting to leave Obama. President Obama registered an approval rating in line with other current polls, with 45% of the populace approving of his performance and 54% disapproving, slightly outside the TPM Poll Average of 45.0% approval and 50.1% disapproval. But the troubling news for the President was within that approval number, where there is a growing number among his base who are disappointed: his rating among self-described liberals in the poll was only 71%, along with 80% self-IDed Democrats in the approval column. "...drill down into that number and you'll see signs of a stirring discontent on the left," says CNN Polling Director Keating Holland. "Thirty-eight percent say they disapprove because President Obama has been too liberal, but 13 percent say they disapprove of Obama because he has not been liberal enough - nearly double what it was in May, when the question was last asked, and the first time that number has hit double digits in Obama's presidency." 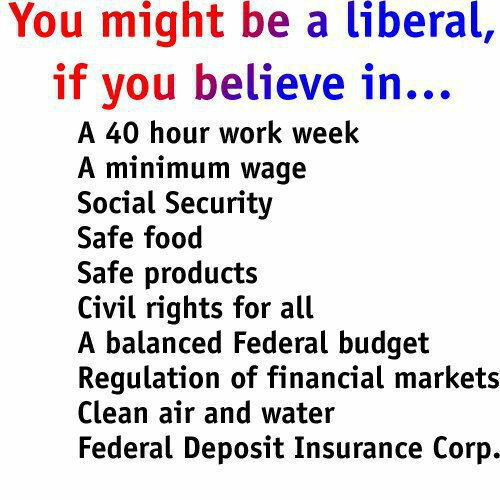 It should also be noted that complaints of the President not being liberal enough were not just relegated to liberals themselves. 14% of self-described moderates who disapproved of Obama cited the same reason, and even 9% of conservatives. The poll utilized phone interviews with 1,009 adults conducted from July 18th to the 20th. Read the full results here. Who is going to be hurt if the United States doesn't raise the debt ceiling and has to default on paying back those loans? One answer is clear -- all Americans are going to be hurt because the debt rating of the country will be lowered, and this will make it much harder for the nation to borrow (no matter how critical that need to borrow is). It will be harder to get the money and it will cost a lot more to pay it back. Conservative folklore is that foreigners hold most of America's debt -- particularly China and Japan. This message has become so pervasive through conservative messaging that people think China now controls America. Not true! China only holds about 8% of the American debt, and Japan holds about 6.4%. In fact the total part of the American debt held by foreigners, including the United Kingdom, Hong Kong, Brazil Taiwan, Caribbean bankers, the Saudis and other the oil-exporting countries, is about 31.5 percent, or $4.5 trillion. This is enough to cause some worldwide economic problems if we default on that debt, but it is nowhere near the majority of the American debt. In fact, the majority of the debt-holders are the American people themselves, both by individuals and by government entities. The people that would be hurt the most by a government default on the debt are the Americans themselves, because that is who holds most of the debt -- about 68.5 percent, or $9.8 trillion. The Social Security Trust Fund holds 19 percent ($2.67 trillion) of the debt. The Old-Age and Survivors Insurance (OASI) and Disability Insurance (DI) Trust Funds invest exclusively in special issue bonds that are only available to the Social Security trust fund. These are not publicly traded securities, but they still constitute a huge amount of debt. Congress has been using the Social Security Trust Fund as their piggy bank for deficit spending for years. At the time of writing, President Obama’s hoped-for “Grand Bargain” with Republicans is apparently dead. And I say good riddance. I’m no more eager than other rational people (a category that fails to include many Congressional Republicans) to see what happens if the debt limit isn’t raised. But what the president was offering to the G.O.P., especially on Medicare, was a very bad deal for America. Specifically, according to many reports, the president offered both means-testing of Medicare benefits and a rise in the age of Medicare eligibility. The first would be bad policy; the second would be terrible policy. And it would almost surely be terrible politics, too. The crucial thing to remember, when we talk about Medicare, is that our goal isn’t, or at least shouldn’t be, defined in terms of some arbitrary number. Our goal should be, instead, to give Americans the health care they need at a price the country can afford. And throwing Americans in their mid-60s off Medicare moves us away from that goal, not toward it. For Medicare, with all its flaws, works better than private insurance. It has less bureaucracy and, hence, lower administrative costs than private insurers. It has been more successful in controlling costs. While Medicare expenses per beneficiary have soared over the past 40 years, they’ve risen significantly less than private insurance premiums. And since Medicare-type systems in other advanced countries have much lower costs than the uniquely privatized U.S. system, there’s good reason to believe that Medicare reform can do a lot to control costs in the future. In that case, you may ask, why didn’t the 2010 health care reform simply extend Medicare to cover everyone? Texas Gov. Rick Perry is all but certain to launch a presidential campaign and is nearing an announcement set for the second half of August, according to sources familiar with his political team's planning. For months, Republican activists, donors, elected officials, and even voters have dithered about their choices in the 2012 presidential primary contest. This is especially true of grass-roots conservatives who have clamored for someone else to enter the fray, only to be disappointed by the likes of Indiana Rep. Mike Pence, South Dakota Sen. John Thune, Mississippi Gov. Haley Barbour, Indiana Gov. Mitch Daniels, and former Arkansas Gov. Mike Huckabee -- all of whom declared this year they would not be candidates, in that order. But they may have their man in Rick Perry, a telegenic and booming political presence who boasts executive experience as the nation's longest serving governor, as well as a healthy level of support from the tea party faithful. The governor's wife, Anita, has given him her blessing for a national campaign, and now that anticipation of a Perry candidacy is reaching a fever pitch, he is poised to jump into the race next month. Potential donors to Perry's presidential effort met Tuesday in Austin, and those familiar with what transpired there told RealClearPolitics that key players in Perry's orbit indicated the 61-year-old Republican will announce a campaign between Aug. 15 and Aug. 31. Perry himself said on Friday that he'll at least make his intentions known within the next three to four weeks. In the past month Perry's team has moved swiftly to put the parts in place for a campaign. As the country enters into the 2012 presidential election cycle, the electorate's white voters have shifted significantly toward the Republican Party since Obama won office nearly three years ago, according to a Pew Research Center survey released on Friday. In particular, the Democrats hold a much narrower edge than they did in 2008, particularly when the partisan leanings of independents are taken into account. The president's attacks on America's social safety net are destroying the soul of the Democratic party's platform. 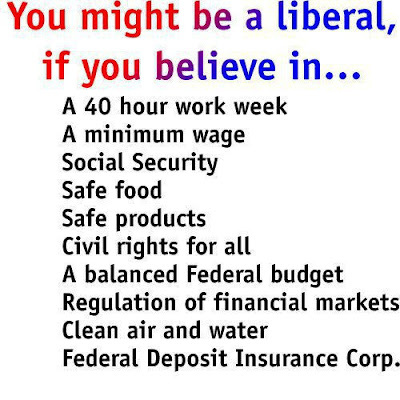 In 2005, American liberals achieved one of their most significant political victories of the last decade. It occurred with the resounding rejection of George W Bush's campaign to privatize social security. Bush's scheme would have gutted the crux of that entitlement program by converting it from what it has been since the 1940s – a universal guarantor of minimally decent living conditions for America's elderly – into a Wall Street casino and bonanza. Progressive activists and bloggers relentlessly attacked both the plan and underlying premises (the myth that social security faces a "crisis"), spawning nationwide opposition. Only a few months after he unveiled his scheme to great fanfare, Bush was forced to sheepishly withdraw it, a defeat he described as his biggest failure. That victory established an important political fact. While there are very few unifying principles for the Democratic party, one (arguably the primary one) is a steadfast defense of basic entitlement programs for the poor and elderly – social security, Medicare and Medicaid – from the wealthy, corporate factions that have long targeted them for cuts. But in 2009, clear signs emerged that President Obama was eager to achieve what his right-predecessor could not: cut social security. Before he was even inaugurated, Obama echoed the right's manipulative rhetorical tactic: that (along with Medicare) the program was in crisis and producing "red ink as far as the eye can see." President-elect Obama thus vowed that these crown jewels of his party since the New Deal would be, as Politico reported, a "central part" of his efforts to reduce the deficit. George Santayana wrote in his Reason in Common Sense, The Life of Reason, Vol.1, "Those who cannot remember the past are condemned to repeat it." As Pres. Obama prepared to take the oath of office in January 2009 his ambitious plans to repair the American economy drew comparison to the New Deal reforms and programs pioneered by President Franklin D. Roosevelt. Conservative Republicans, unable to intellectually accept or unwilling to honestly admit that thirty years of cutting taxes for the rich and cutting regulatory oversight on the financial sector led to financial calamity twice in a period of 80 years, signaled they were as opposed to President Obama's new "New Deal" legislation as their conservative forefathers were to FDR's New Deal legislation. Senate Minority Leader Mitch McConnell, the most powerful conservative Republican in Washington, said he intended to delay Obama's proposed $1 trillion economic stimulus legislation and use his 40 Republican Senator cloture vote filibuster power to block all Democratic legislation. Within two months of taking the oath of office, Republicans had convinced Pres. Obama to push for half the amount of stimulus that his advisers thought necessary and substitute additional massive tax cuts as part of the stimulus plan. Most economists now say the 2009 stimulus plan was slow to kick in, did little to promote American job growth and unnecessarily added to the deficit because the stimulus plan indeed provided half the amount of spending needed and the added tax cuts have not enticed corporations to reinvest their massive profit gains in U.S. based business growth and job creation. The Republican 2010 mid-term election messaging strategy was to falsely claim Obama's Stimulus Spending and Private Health Insurance Reform legislation is depressing the economy just as Roosevelt's New Deal reforms and programs caused the 1930's economy depression. Republicans continue to use this messaging strategy. Mr. Obama said it was “hard to understand” why House Speaker John Boehner would “walk away from this kind of deal.” The President said they are now out of time. He said he has called the top Congressional leadership from both parties to a meeting Saturday at the White House to explain to him how the country will avoid defaulting on its payments after the government runs out of money on August 2. Today the State Board of Education voted to adopt the Texas education commissioner’s recommended list of science instructional materials. Special interest groups and activists on the state board failed in their efforts to force publishers to change their instructional materials to include arguments against evolutionary science. In addition, the board voted unanimously to reject the adoption of instructional materials from a New Mexico-based vendor that promoted “intelligent design”/creationism. Religious conservatives on the SBOE complained the materials adopted did not adequately address "alternatives to evolution" such as creationism or intelligent design as a theory of how life began. The vote to adopt the education commissioner’s recommended list of science instructional materials followed several hours of emotional testimony in which science teachers from around the state pleaded with the board not to require them to teach what they saw as non-scientific theories in their classrooms. Gov. Perry's newly appointed chair of the State Board of Education, Barbara Cargill (R-The Woodlands) is already under fire by critics who say she is signaling she intends to push the same religious conservative anti-evolution young earth ideology as her predecessor, chairman Don McLeroy. Cargill, a biology teacher considered to be one of the more conservative board members, disputes the theory of evolution and voted in 2009 to require that the theory of evolution's weaknesses be taught in classrooms. Annual Gov. Ann Richards Dinner Sponsored By The Democratic Party of Collin Co. The annual dinner honoring Governor Ann Richards sponsored by the Democratic Party of Collin County is scheduled this year for Saturday August 6, 2011. According to Shawn Stevens, Chair of the Democratic Party of Collin County, that is why the 2011 Richards Dinner planning committee selected, "Standing Up for Everyday Citizens," as the theme for this year's fund raising dinner. In keeping with that theme, the featured speakers for the fund raising dinner this year are Wisconsin Democratic State Senator Jon Erpenbach, better known as one of the "Wisconsin 14," and Texas Democratic State Representative Rafael Anchia. According to Leaca Caspari, Chair of the 2011 Richards Dinner planning committee, the reason both Erpenbach and Anchia were invited to speak at the dinner this year is that they are widely regarded as elected officials who are known for taking a principled stand for everyday citizens. Cenk Uygur (host of The Young Turks) explains why he turned down a new, significantly larger MSNBC contract after hosting a prime-time show on the network that was beating CNN in the key demo ratings. Yesterday, President Obama, ignoring the Congressional Progressive Caucus' proposed budget that balances the budget in just ten years without cutting Social Security and Medicare, all but endorsed the deficit reduction plan outlined by the Gang of Six conservative Republican and Democratic Senators. The plan recommends “reforming” (i.e. 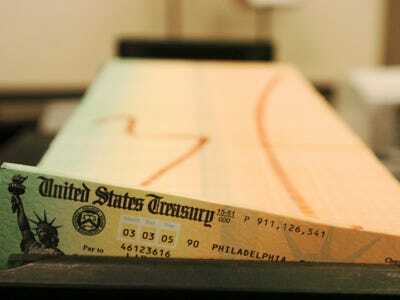 cutting) Social Security in ways that will even affect current retirees. But not a penny of the money saved will go to deficit reduction, which begs the question — why include Social Security at all? The gang of six plan proposes a chained CPI adjustment to Social Security, which may not be a bad idea when combined with other measures to boost benefits and strengthen the program, but on its own is tantamount to a $1,300 cut each year for recipients over their lifetimes. Strengthen Social Security co-chair and former Obama adviser Nancy Altman has denounced the idea as an overly harsh cut. “The chained-CPI is poor policy, and given that seniors vote in disproportionately high numbers, it is equally poor politics,” she said. The Gang of Six has said all the changes will go toward securing the long-term financial security of the program, but Social Security is already solvent until 2037 and does not contribute to the deficit. The plan also lowers the corporate tax rate from 35 percent to between 23 and 29 percent, eliminates the alternative minimum tax, and lowers personal income tax rates, even though the United States is already a low-tax country. That’s true for individuals and for corporations, and it’s true whether you compare us to other countries or the America of the past. No matter how you slice it the conclusion is the same. It’s a popular talking point, but it simply isn’t true. Deficits do not stem from spending levels alone. They are the product of a mismatch between spending and revenue. And when revenue is as low as ours is, you end up with big deficits. Click here to view 10 charts demonstrating the simple, clear truth that federal taxes in the United States are very low. As debates about deficit reduction continued to be heavily tilted toward cutting spending, which threatens to undermine a fragile recovery, rather than raising revenue from those who can afford it, it’s important to remember the budgetary impact of the Bush tax cuts. The opponents of the tax cut turned out to be right. The 2001 and 2003 tax cuts combined have blown a $2.5 trillion hole in America’s budget and created deficits stretching on for years. Huffington Post: Obama, while often publicly praising Warren, was never committed to nominating her as head of the Bureau of Consumer Financial Protection, people familiar with the internal decision-making process said. There were a variety of factors holding her up, from the administration's perception that she was prone to speaking her mind publicly -- even if her position contrasted with that of the administration’s. The internal debate that led to President Barack Obama passing her over as head of the agency, commonly known as the CFPB, pitted one set of advisers -- longtime confidantes Valerie Jarrett and David Axelrod -- against the trio of Treasury Secretary Timothy Geithner, former White House Chief of Staff Rahm Emanuel, and current Chief of Staff William Daley. Jarrett and Axelrod supported Warren, not least because of the impact she’d have on the Democratic Party’s liberal base, sources said. Geithner, Emanuel and Daley opposed the idea because of a variety of factors, both personal and political. Ultimately, it was Obama’s call. 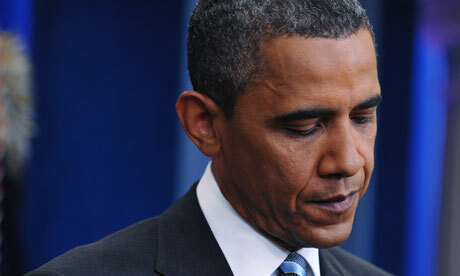 Sources said an anecdote about a 2010 meeting provides clues to Obama’s thinking. Last summer, during a White House meeting with first-term Senate Democrats, Sen. Bernie Sanders, an independent from Vermont, asked Obama whether he'd nominate Warren for the role. Obama held up a half-full glass of water and told him: "That's the problem with you progressives. You see this as half-empty." "Enough with the peas and the tea. What America needs at the present moment is a We the People Party -- a We Party. Instead of trying to dismantle the New Deal, like both the Tea Partyers and the Pea Partyers, the We Party would campaign to modernize and, where necessary, expand the system of middle-class social insurance on which most working families rely. Instead of further slashing taxes on the rich, as the Tea Party proposes, or cutting benefits for the middle class, as the Pea Party proposes, the We Party would raise taxes on the rich substantially, before raising taxes on working families, if that should be necessary. Rejecting the characterization of elderly Americans as "greedy geezers" enjoying a "subsidized vacation," the We Party would maintain or even increase Social Security benefit levels and avoid future shortfalls by means of slightly higher payroll taxes or an infusion of other tax revenue. The We Party would demand that the federal government stand up to the medical-industrial complex and impose fee schedules on doctors, hospitals and drug companies in the U.S., in order to control medical costs the way other democratic nations do -- thereby eliminating the danger that Medicare and Medicaid budgets will wreck the federal budget. Above all, a We Party that represented Main Street rather than Wall Street would reject the claim, made by Tea Party and Pea Party alike, that the greatest threat facing America is long-term budget deficits, instead of short-term unemployment and lack of growth. The We Party would focus on what should be the real priority of this moment in our national history: putting America back to work. America doesn't need the Tea Party or the Pea Party. It needs the We Party." TDWCC: Thomas Ratliff, R-Mt. Pleasant, State Board of Education District 9, will be the speaker at the TDWCC general meeting on Monday, July 25, 6:45 p.m. Collin College – Preston Ridge Campus, Founders Hall, Rm F148. Mr. Ratliff won the State Board of Education seat for District 9 in 2010. Mr. Ratliff will speak about how the SBOE works, what issues he has faced, the upcoming Science curriculum discussion, and will be open to our questions. A Record heat wave is gripping the central part of the U.S. From Texas to the Dakotas, and east to Illinois and Indiana, temperatures and humidity levels soared on Monday and were expected to remain high through at least the end of the week, by which time forecasters say the East Coast will get to share the misery. Seventeen states issued excessive-heat watches on Monday, with a number of upper Midwest states expecting temperatures higher than 105 degrees. The heat wave is sending people to the hospital, damaging roads and causing air-conditioning bills to skyrocket. It felt like 126 degrees in Newton, Iowa, on Monday; 120 degrees in Mitchell, S.D. ; and 119 degrees in Madison, Minn., according to The Associated Press. Births have surpassed immigration as the main driver of the dynamic growth in the U.S. Hispanic population. This new trend is especially evident among the largest of all Hispanic groups-Mexican-Americans, according to a new analysis of U.S. Census Bureau data by the Pew Hispanic Center, a project of the Pew Research Center. The latest national survey by the Pew Research Center for the People & the Press and The Washington Post, conducted July 14-17 among 1,006 adults, finds that the public expresses far more confidence in President Obama than it does in congressional leaders of either party when it comes to the debate over the debt ceiling. Nonetheless, only about half of Americans (48%) have even a fair amount of confidence in Obama to do the right thing when it comes to dealing with the debt ceiling, while nearly as many (49%) say they have not too much confidence or no confidence at all in the president on this issue. Pew’s Project for Excellence in Journalism is out with a new study that looks at the new universe of nonprofit journalism. The study looked at who is publishing news under the legal structure of a 501(c)3 exemption. After all, “nonprofit” signals a tax status, not a belief system or a commitment to any particular fair and balanced set of ideals, journalistic or otherwise. In 1910, nearly 60% of cities had competing daily papers, but today that completion of viewpoints has all but disappeared. More than two-thirds of independently-owned newspapers have disappeared over the last 35 years with more than 200 publishing companies disappearing over the last 20 years. Vin Crosbie, a noted Syracuse University professor and consultant, has predicted that more than half of the approximately 1,400 daily newspapers publishing in the country today could be out of business by 2020. Newspaper publishers have reduced daily newsroom staffing by more than 29% from since 2001 as circulation and advertising revenues have plummeted over the last decade. Every year there are fewer and fewer newspaper reporters covering state capitols and city halls, while the number of states with newspapers covering the U.S. Congress full-time has dwindled from 35 in 1985 to just 21 in 2010. As traditional newsrooms have shrunk, a group of institutions and funders motivated by something other than profit are entering the journalism arena. This distinguishes them from the commercial news institutions that dominated the 20th century, whose primary sources of revenue—advertising and circulation—were self-evident. The emergence of these new online news sources is significant since a national survey by the Pew Research Center for the People & the Press, conducted Dec. 1-5, 2010, found that more people cite the internet than newspapers as their main source of news. A former producer with Fox News claimed in a lengthy essay gaining new traction this week that the conservative television station has a "Brain Room" in its New York headquarters which enables employees to view private telephone records with ease. Though published years ago, the allegations have returned to relevance in the wake of the phone hacking scandals that have rocked News Corporation to its very core, threatening to topple one of the world's largest and most powerful media conglomerates. According to former Fox News executive Dan Cooper, whose gripes with his former employer run quite deep after being fired in 1996, Fox News chief Roger Ailes allegedly had him design the so-called "Brain Room" to facilitate counter-intelligence efforts and other "black ops." In a lengthy 2008 diatribe said to have doubled as a book pitch, Cooper claimed his own phone records had been hacked by Fox News employees, who he says used them to pinpoint him as a source used by David Brock, who founded liberal watchdog group Media Matters. That wasn't the last time word of Ailes's "Brain Room" surfaced: in a recent piece for Rolling Stone, journalist Tim Dickenson discusses Cooper's allegations too, focusing on the man Ailes allegedly picked to run the secretive office. According to The New York Times, a New Jersey company called Floorgraphics accused News Corp. in 2009 of hacking into their password-protected computer systems to obtain proprietary information, then allegedly spreading "false, misleading and malicious information" about the firm, causing them to lose important contracts. News Corp.'s response to the scandal was to buy Floorgraphics outright, after offering a $29.5 million settlement. Cases like Floorgraphics' are hardly unique: in recent years, the Times noted, News Corp. has paid over $655 million in settlements and hush money to keep allegations of anti-competitive and illegal behavior under the rug. The Federal Bureau of Investigation and the Department of Justice have launched their own investigations into whether News Corp. participated in the hacking of 9/11 victims or U.S. officials. Writing for ClickZ Politics, Kate Kaye takes a look at the online action — or lack thereof — around the Wisconsin recall effort. In the wake of the Wisconsin state legislature's passage of a controversial collective bargaining law, Democratic and labor groups mobilized to trigger recall elections against six Republican state senators. The Democratic candidates each won their primaries, fending off candidates running with Republican support and advancing the recall effort, the Washington Post's Rachel Weiner reports. One of the most politically influential labor unions in the country has signaled a shift in emphasis towards organizing and campaigning online by hiring senior digital staff in at least a dozen major U.S. cities. Organizers and activists are quickly learning that new media on the Internet provides additional communication channels to reach out to the community. They increasinly understand that New media can efficiently promote, support and supplement all other traditional organizing activities like social meet ups, issue oriented community town hall discussions, messaging, as alternatives to TV and radio, registration drives, voter rights and poll watcher training, block walking, community service events, and so forth, particularly for the under 35 age group, and vice versa. To effectively use new media to motivate people to action, one must have a 'messaging strategy' to create and push framed messages through the communication channels. 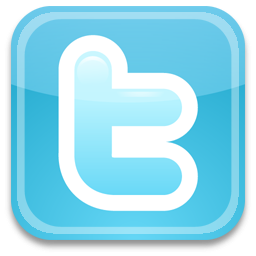 Blogs, YouTube and websites used in combination with social media networking and email can be used to rapidly broadcast messaging to targeted audiences. Again, messaging is used to drive and support the full community organizing agenda. Techpresident: In what may be a first for organized labor, Service Employees International Union is beefing up its online operations by hiring new media directors and campaign directors to work directly under the chiefs of staff of union locals in each of those cities, including Columbus, Ohio; Houston, Texas; Detroit, Mich; Portland, Ore.; St. Louis, Mo. ; and Miami, Fla., among others, according to job postings that were available online. Because of the way union locals are organized, the size and territory of each organization varies. One of the largest locals in the country, for example, 1199 SEIU United Health Care Workers East, includes workers in six states. Texas voters will go to the polls Nov. 8, 2011 to vote on 10 proposed constitutional amendments, deciding on issues touching on school funding, agricultural exemptions and when politicians must resign one office to run for another. The amendments were authorized by two-thirds of the House and Senate in the 2011 legislative session. Since the Texas Constitution was ratified in 1876, Texas voters have considered 646 proposed amendments and approved 467, according to the Legislative Reference Library. A majority of the voters must approve the amendments before they can be implemented. Several cities have also authorized "special election" ballot propositions for their respective jurisdictions. Check the appropriate sample ballot style for your election precinct to see if your city has a "special election" proposition on your ballot. Don't know your precinct number? Find out how to locate your precinct number by clicking here. Proposition 1 - Ease the financial burden on spouses of totally disabled veterans SJR 14 - By state Sen. Leticia Van de Putte, would ease the financial burden on spouses of totally disabled veterans. It would allow the Legislature to exempt the surviving spouses of 100-percent disabled veterans from property taxes on all or part of the market value of their home. For - Would allow homestead property tax exemption to transfer to the surviving spouse of a totally disabled veteran. Proposition 2 - Allow the Texas Water Development Board to issue bonds SJR 4 - Would allow the Texas Water Development Board to issue bonds for projects that will eventually become self-sustaining. The board, which has a zero default rate, issues bonds for water infrastructure projects. The amendment would allow the board to issue a maximum of $6 billion at any time. For - Would allow the Texas Water Development Board to issue revenue bonds (for various water development and conservation projects), not to exceed a revolving $6 billion at any one time. Proposition 3 - Allow the state to issue general obligation bonds to finance student loans SJR 50 - Would allow the state to issue general obligation bonds to finance student loans. For - Would permit issuance of general obligation bonds to finance educational loans to students. Note: This program would effectively continue an existing low-interest, fixed-rate student loan program (Hinson-Hazlewood, created in 1965 and managed by the Texas Higher Education Coordinating Board), which had a dollar limit periodically renewed and raised. This raises the current limit of $125 million to $350 million; the program has a long record of success and a good repayment record. Free public higher education would be the best alternative, but that's not currently in the cards. The market might one day blanch at these bonds, but they've been working well for nearly 60 years. Proposition 4 - Allow counties to issue bonds to finance the development of transportation reinvestment zones HJR 63 - Would allow counties to issue bonds to finance the development of transportation reinvestment zones. Such zones allow cities to use certain property tax revenues to build roads and other transportation projects in that area. Currently, cities are able to issue transportation reinvestment zone bonds, but it has been unclear whether counties have the authority to do so. For - Would grant to counties tax-increment financing of "unproductive, underdeveloped, or blighted areas," to be repaid by the TIF created for the development. Note: TIFs are already a municipal tool; this would extend bonding authority to counties. There is some opposition from anti-tax absolutists, although the program seems largely self-limiting. In Travis, it would likely enable better city-county collaboration on specific projects. Proposition 5 - Allow agreements between local government agencies to share budgets SJR 26 - Would make it easier and cheaper for cities or counties to enter into multi-year inter-local contracts — agreements between government agencies to share budgets. Right now, if a city or county wants to partner with another on a project, it has to create a special tax and a special debt fund for that project. Julie Frank, committee director for the Texas Senate Committee on Intergovernmental Relations, said the amendment would simply “clean up” the process. For - Would permit certain city-county interlocal agreements without consequent debt fund requirements. Note: This provision would make it easier and more efficient to enter into interlocal agreements; it might even help with Austin-Travis County collaborations. Proposition 6 - Clarifying references to the Permanent School Fund HJR 109 - Would allow more money to be transferred from the Permanent School Fund, a pot of constitutionally guaranteed money generated from the sale of state property that goes to finance Texas public schools to the Available School Fund, which is the pot of money the Legislature is allowed to draw from to spend on Texas schools. It would allow the General Land Office to distribute revenue from the fund, and it would increase the market value of the permanent school fund, allowing schools to get more money. For - Would allow inclusion of permanent school fund real property assets in calculating the fund's market value (now confined to the value of the fund's investments), thereby increasing available monies ($300 million annually) for distribution to schools. Money from the permanent education fund remains mandated to education. The method of fund valuation changes - making more money available to disburse - and disbursement is a step less complicated - making fund money more available to payout to school districts. This amounts to an accounting trick to accelerate a few extra hundred million dollars out of the fund a little faster to current school budget funding. The legislature passed a 2011-13 public education budget that cut over $4 billion over the biennium - assuming prop 6 passes. If prop 6 fails to pass, that cut bumps up to over $4.5 billion. Prop 6 is only a band-aid to treat the severed artery of school funding, but it is worth a FOR vote. Proposition 7 - Allow El Paso County to create conservation and reclamation districts SJR 28 - Would allow El Paso County to be included in the list of counties authorized to create conservation and reclamation districts. With the amendment, El Paso County could use tax revenue to develop parks and recreational facilities. For - Would let El Paso reclamation districts issue bonds for parks and recreation facilities. Proposition 8 - Create an open-space tax exemption for water stewardship SJR 16 - By state Sen. Craig Estes, R-Wichita Falls, would create an open-space tax exemption for water stewardship. Open-space is land zoned for preservation of natural resources, and historically, open space in Texas has been used for farming or timber. The amendment would add water stewardship, or conservation, to the list, providing extra incentive for individuals to conserve the 90 percent of state water that flows through privately owned land. For - Would allow water stewardship property tax exemptions for water conservation and protection. Note: This is a step toward greater attention toward stewardship of common water resources. Proposition 9 - Allow the governor to issue pardons to individuals who receive deferred adjudication SJR 9 - By state Sen. Royce West, D-Dallas, deals with the governor's authority to pardon individuals who receive deferred adjudication. Individuals who are sentenced to deferred adjudication are given probation-like conditions, and if they complete the program successfully, a judge can dismiss the charges. Currently, the governor can only pardon convicted individuals, but the authority does not extend to those who have deferred adjudication. The governor would only be able to issue a pardon with the recommendation of the Board of Pardons and Paroles and in criminal cases excluding treason and impeachment. For - Would permit a governor's pardon for deferred adjudication cases, as now allowed in criminal convictions under special circumstances. Note: This is unlikely to affect many people, but it resolves an inconsistency in the law. Proposition 10 - Align the resign-to-run laws with the new primary election filing date SJR 37 - Would align the resign-to-run laws with the new primary election filing date. Currently, elected officials can only remain in their current office if they file for candidacy to another office with less than one year left in their current office term. But during the legislative session, lawmakers moved the primary election filing deadline from Jan. 2 to mid-December to accommodate military and overseas voters. That would force some elected officials to resign from their current post to file for candidacy. The amendment would change the length of unexpired term from one year to one year and 30 days. Note: This is a necessary change to comport with the new election calendar if current officeholders are to be allowed to maintain their positions (within limits) while running for another office. For another comprehensive look at the state constitutional amendments read the House Research Organization's Voter Guide. The 2011 Texas Legislature revised the Texas Election Calendar, to comply with the federal Move Act, with the passage of SB100. SB100 requires ballots to be mailed or emailed to military and overseas voters no later than the 45th day before the election. To satisfy this requirement all Primary Election candidate filing dates were move back to start in early November and end in early December. Previously the filing period had been during the calendar month of December to the first business day of January. The "45 day" requirement also shifts the Primary Runoff Election date from early April to the Fourth Tuesday in May -- May 22 for the 2012 election cycle. The new primary Run off Election date conflicts with Cities and School Districts elections, which historically held their elections on the early May uniform election date of even numbered (primary election) years. SB 100 gives cities and school districts the option of moving their non-partisan May elections to the November uniform election date. Cities and School districts who chose to continue to hold their elections in May of even numbered years, likely will be forced to find alternate vendors to conduct their election. This is because many local jurisdictions rely on their County's Election Office to supply voting equipment and staff to run their city and ISD elections. County Election Administrators may no longer able to turn around election equipment quickly enough, if a Primary Runoff Election is scheduled. Cities and school boards are assessing the feasibility of conducting their own elections without contracting with the county election office to supply election equipment and staff verses moving their elections to the November uniform general election date. Counties in Texas already conduct Elections each November. Conducting a Joint Election in November could save the taxpayers some money. Proposition-1 Shall Section 3.01. Number, selection and term of Article 3 of the Plano City Charter be amended to change city council terms from three years to four years; hold elections in odd-numbered years beginning in 2013 for Places 2, 4, 6, & 8 and in 2015 for Places 1, 3, 5, & 7; change the term limits from three terms to two terms; and term limits shall be applied retroactively for city council members currently serving? Proposition-2 Shall Section 4.04. Municipal court of Article 4 of the Plano City Charter be amended to allow the court to operate as authorized by the City; allow the city council to appoint all judges for specific terms including appointment of the chief municipal judge when a vacancy occurs; and, provide a process and reasons for the removal of any judge? Proposition-3 Shall changes be made to the Plano City Charter throughout to correct non-substantive errors to revise obsolete dates and clarify language by amending City Charter Sections 1.02, 2.02, 5.01, 6.03, and 11.11; and shall language be revised or removed to conform to federal, state and local law including removing redundant provisions thereby changing City Charter Sections 3.02, 3.06, 4.07, 6.07, 7.02, 9.06, 9.14, 10.02, 10.04, 10.11, 11.01, 11.04 and deleting in their entirety City Charter Sections 6.11, 8.01, 8.03, and 10-A.02? **Last Day to File for Place on General Election Ballot (for local political subdivisions ONLY) Wednesday, September 7, 2011 at 5:00 p.m.